Your landscaped areas are one of the most important parts of your commercial property. After all, these are going to be the very first spaces that people see when visiting your organization. As such, if you want to make the best possible impressions on your stakeholders, clients and prospective clients, then you need to make sure that these areas look good. 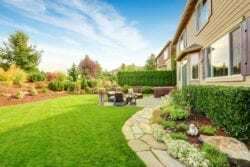 Following are several benefits that you can gain by working with commercial landscape contractors in Chesapeake, VA.
To start, your provider can show you the best possible way to make use of the available area. This includes choosing foliage and features that are hearty, capable of thriving in the local environment and needing little maintenance. With the right choices, you can enjoy an environmentally-friendly and largely self-sustaining design that does well even when local temperatures are at their most extreme. Another benefit in working with these companies is being able to establish a feasible and manageable maintenance plan for these areas. In addition to choosing and implementing an eye-catching and practical design, you also want to have a solid and affordable strategy for keeping the chosen look up. 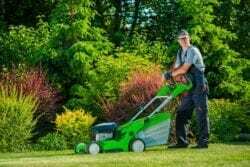 When you work with Good N Green Lawns, you will be able to keep these areas looking amazing from season to season and without ever having to spend beyond your means. You may have existing landscaping features that simply don’t look their best. Talented professionals can identify any problems that these features are contending with and can restore their lush, green vitality. They can also implement strategies for infusing this space with other elements that truly enhance the overall appearance of your property exterior. If you ever use outside areas to entertain your client, working with the right professionals will help you streamline these spaces to suit the nuances and needs of your operations. This way, you can add attractive shaded areas as needed. You can also choose grass types that are capable of standing up to a lot of foot traffic and other forms of wear and tear. In certain instances, having health grass in place is also an important part of erosion control. The more greenery that you plant in these areas, the less likely they are to experience problems like mudslides and soil loss. 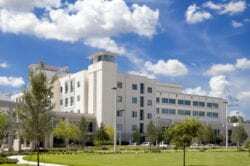 Thus, working with the right commercial landscape contractors in this area can also be an excellent strategy for stabilizing the very grounds that your business sits on.